You know what they say about the best laid plans. 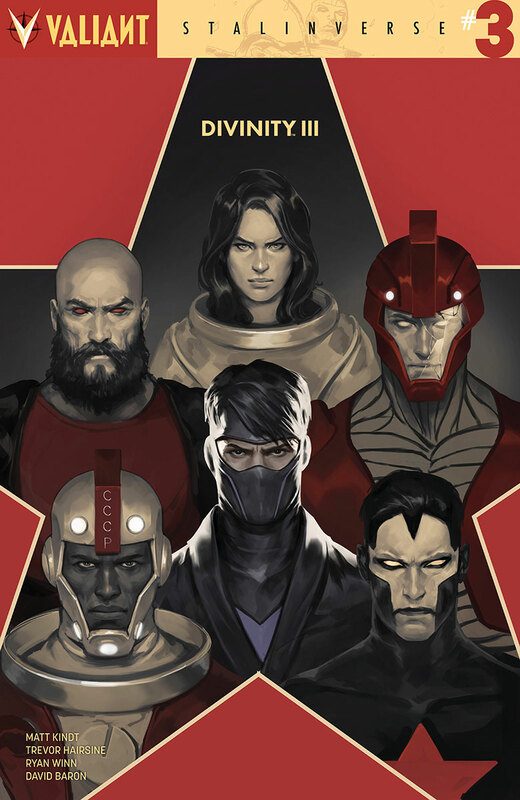 The unlikely pair of Harada and Ninjak plan to slowly “awaken” Divinity go awry when Myshka and her team crash their meeting. Harada takes the opportunity to create a diversion by taking on the entire group by himself, which of course was futile. Still, it was nice that we finally were able to see this Russian super team in action, even if they were no match to what is to come. We finally are reintroduced to the actual main villain of the series, which would have had more of an impact if they hadn’t already shown us who was behind the reality change. The other gripe comes from the fact Harada and Ninjak were taking things slow with Divinity, but in the end it only took three panels and a sentence or two to do the job. So much for all that time spent building up to it. It has been a little shaky, but now things are at least heating up. Otherwise, that’s all behind us now leaving one last, hopefully, action packed issue for the finale.